19 foot Deck Boat Rental Pricing: As low as $278 per day for weekly rental ($1700 weekly). 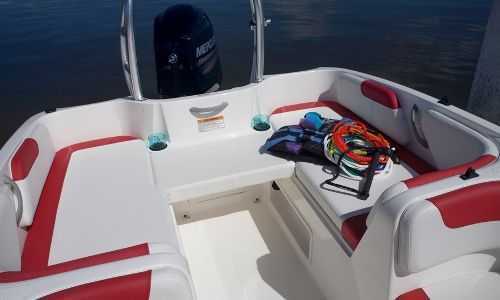 Our 19 foot deck boat with 115 horsepower is the perfect boat for Families who want to tube and ski and cruise. 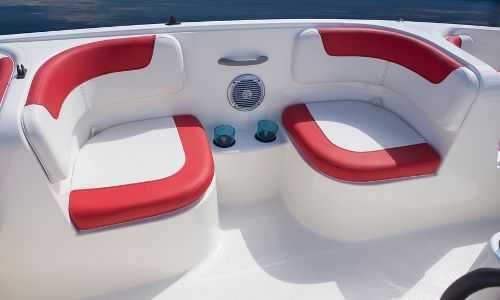 This boat is setup perfectly to seat up to 9 people, with a tow bar on the back, swim platform, removable gas tanks, stereos and depth finders. The Engine is a four stroke so you just turn the key to start. The boat uses premium gas no mixing no hassle. This boat is by far the easiest boat to operate. If you haven’t had much experience and your kids don’t want to rent a pontoon our 19 foot 115 horsepower deck boat is perfect. If your family is serious about skiing, this boat can still do the job with a top speed is 33 mph. If you have slalom skiers over 140 lbs, they would need to drop a ski but it still is a great boat to ski behind with a soft flat wake. From the afternoon you arrive just walk down to the dock your boat will be waiting gassed up with everything you need. The 19 foot 115 has everything included adult waterskis, kids waterskies, a tube, life jackets tow ropes, bumpers and dock lines. We know how cramped cars can get on family vacations so we thought of everything you will need to enjoy these beautiful lakes by boat. All of the equipment is included at no extra cost. We also make it easier on the worst day of your vacation (the last day) just leave the boat tied to the dock and we will pick it up after you leave. 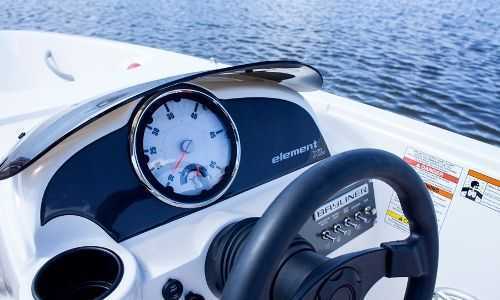 We will fill the gas tank and then charge your credit card so you don’t have to spend any time on your departure day worrying about the boat. Service Area: Eagle River, Saint Germain, Three Lakes, Sugar Camp, Phelps, Minocqua, Manitowish Waters, Arbor Vita, Iron River, Woodruff, Florence, Wakefield, Gleason, Mercer and surrounding communities.